← Can Small Experiments Test Nonprofit Strategic Validity? I agree with your points regarding changing of the CEO pursuant a Board determination that the performance is not sufficient and effective. I also believe that the steps you outlined in the process are very important. 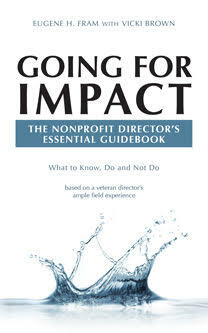 However, I believe that a first step a nonprofit organization is to have a succession plan in place that will the exciting of a CEO due to termination (voluntary or not) or accident. A written succession plan outlines the steps for action after a CEO is no longer in place. A succession plan requires the Board to think ahead of its current situation, because change happens every day, every month and every year, therefore its best to be prepared with a plan. A succession plan does not mean that a Board is trying to get rid of its current CEO, however, it is the Board’s responsibility to prepare for the future of the organization. Board members need to understand that it is their responsibility to ensure the sustainability of the organization and a succession plan gives the organization a plan that will ensure continuity of leadership. Heyward: I strongly agree that a detailed succession plan is needed, down to who might be an interim person in the event that the CEO leaves unexpectedly. However it is the responsibility of the CEO to develop such a succession/interim plan rather than the Board. The board should be clear about what such a plan needs to account for but not design the specifics as that intrudes the board inappropriately into management. I feel that the board has to understand the level of talent on bench to take over on an interim basis or permanently. I encountered such a situation, and the board decided to hire an outside consultant, in the event of an unexpected change. Keep internally track of promotable is a critical board overview responsibility.